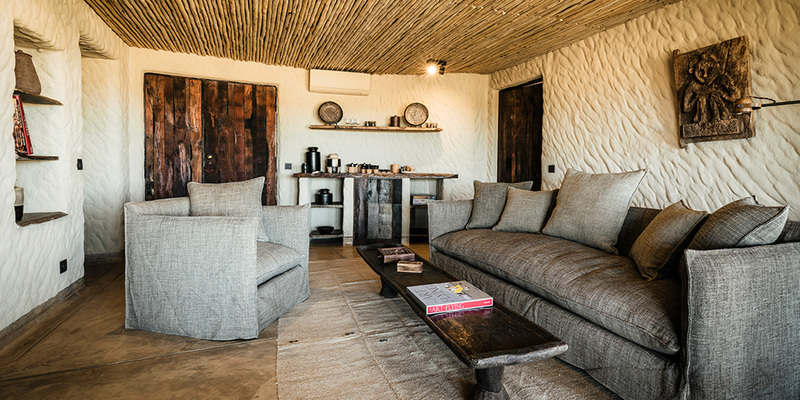 The eight 1-bedroom huts are built in traditional Namibian style, with rounded corners and with a hand-finished thatch roof. All are equipped with all modern amenities. Omaanda also has two 2-bedroom huts that are specially designed with groups or families in mind.